Only through the smart combination of premium materials, indestructible design and dynamic elegance, top-class over and under shotguns are born. 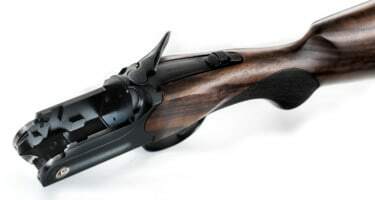 If a sensational swing-through behaviour then meets an extremely crisp trigger, the formula for successful hunting is created or just simply called the Sauer Apollon. The “Four-Locks-System” ensures maximum durability and lifetime. 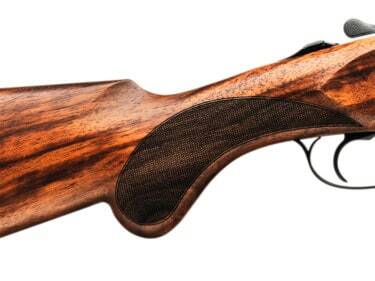 The elegant walnut stock with laserline grain combined with a Prince of Wales pistol grip not only ensure an elegant appearance, but also provide intuitive handling. Every Apollon and Artemis shotgun is delivered ex works in a handy ABS synthetic case with 5 chokes. Thus you are ready to go, no matter which situation is waiting for you.